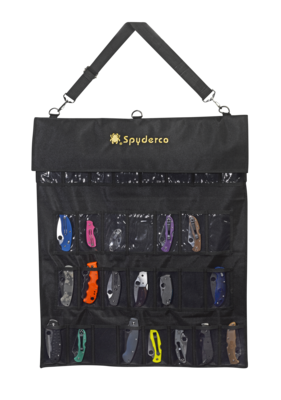 Travel Case Small - Spyderco, Inc. Page 149 – Spyderco, Inc. Protect your favorite folding knives with this handsome black synthetic leather pouch. 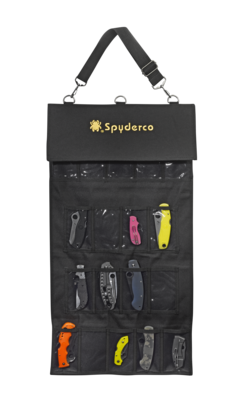 Its plush lining protects your knife against scratches and a full-length zipper provides security and easy access. 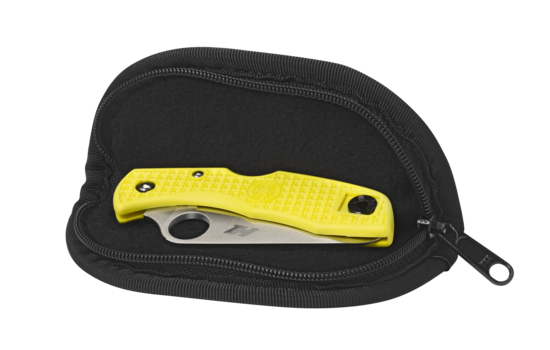 This smaller zippered pouch is sized for knives up to 4.5 inches long when closed.